Bonham Electric, Inc., one of the most established electrical contractors in Dayton, OH, offers residential service, commercial service, new construction, generator service, and much more. Contact us today for any electrical services you need and we will have an electrician on their way. Since 1992, PB Electrical Contractors, Inc., has been providing the areas most reliable, trustworthy and customer friendly electrical services. From simple repairs and panel upgrades to new houses, additions and remodels, we do it all and promise to leave nothing behind but perfect lighting and a satisfied home owner. We now accept all major Credit Cards! 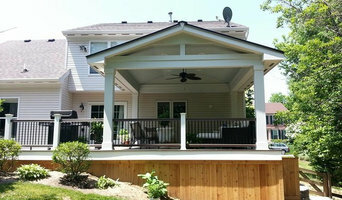 Cinci Decks is family-owned and operated. Located in Ross Ohio, a central location allows us to serve the entire Tri-State Area. 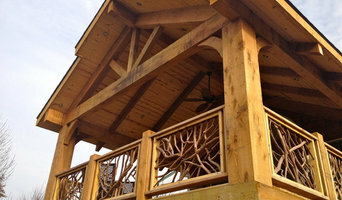 We are dedicated to quality craftsmanship and beautiful yet functional outdoor living spaces. 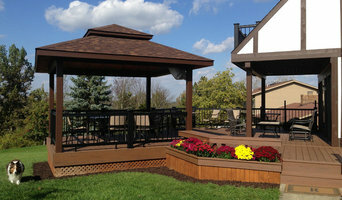 No sub-contractors are used to build your dream deck, all phases of your project are performed by us. Cinci Decks will not built without proper permits; we have nothing to hide. We can help with the design of your deck or use a design you already have. All of the leg work to obtain proper building and zoning permits can be completed by our experienced staff. We are a full service electrical contractor that also provides structured cabling systems, home automation, multi room audio, and more.